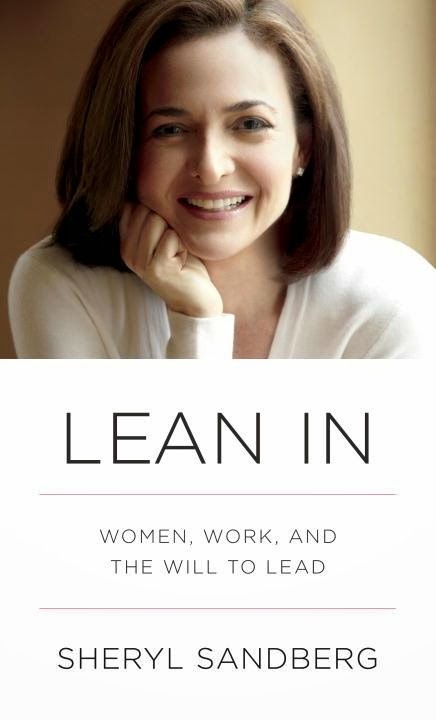 The Last Feminist to Read Lean In, Perhaps? Am I the last self-described feminist to read Lean In? Possibly. The book has been reviewed, debated, reviewed and debated again, featured in the New York Times who knows how many times, etc. etc. etc. It has sparked debates about the importance of stay-at-home mothers (and fathers), debates on the glass ceiling, debates on how to "have it all." It's even inspired a new line of stock photography. That's a lot for a book that's just about to celebrate its first birthday--even if the author does happen to be one of the most powerful women at one of the most powerful and recognized companies in the world. Sandberg is a powerhouse, and her successes are only further proof of her passion--as is her book. I'll admit, I was skeptical in starting this (which is why, perhaps, I'm so late to the party). Sheryl Sandberg works at Facebook, for crying out loud. She has a career, not a job, and kids. And money. And opportunity. What could she possibly teach me? The thing that she can teach me, it turns out, is that she can teach me. That any woman (or man), at any stage of her (or his) career, can stand to take a step back and reconsider how--and from whom--we learn, and how we can adjust accordingly. As The Last Feminist to Read Lean In, I don't plan on offering up a review of this book. There's no shortage of those already in the world--but actually, that's part of what lead me to write this post in the first place. Because the number of reviews that turn their nose down at this book because Sandberg is rich; or because she sites Marissa Meyer as an example of a woman making her own choices and standing by them, no matter the critics; or because the book is "obvious"? That number is downright disheartening, especially when faced with the fact that Sandberg is careful to address each and every one of these potential problems in her work. At the end of the day, the biggest thing this particular feminist took away from Lean In was not that Sandberg has all the answers, or the key to breaking the glass ceiling that may or may not exist. It was not that there is a right or wrong decision at any given place in a woman's career. It was not even that there is a solution to all of our gender inequality problems, which hurt men as much as women. It was this: only by seizing every opportunity, and evaluating it in the context of our own lives, needs, wants, and desires, can we continue to grow, and thrive, and push for change. In order to get anywhere, we all have to be willing to put ourselves out there--and willing to work towards change together, rather than fighting to ensure that "change" meets our definition of what is "right." And I think that's a pretty powerful message. You're not the last! My review of this is actually schedule for next week. I had a similar reaction, I hate these kind of books and wasn't looking forward to it. I made myself read it and felt like there were so many pieces of advice that were helpful. There is no right choice for everyone, but I think her message was that you should understand you do have choices and you shouldn't be afraid to make a hard choice! Nope--I'm also a self-identified feminist and haven't read this book yet, but I confess that you do make it sound far more compelling than just about any other review of it that I've seen.